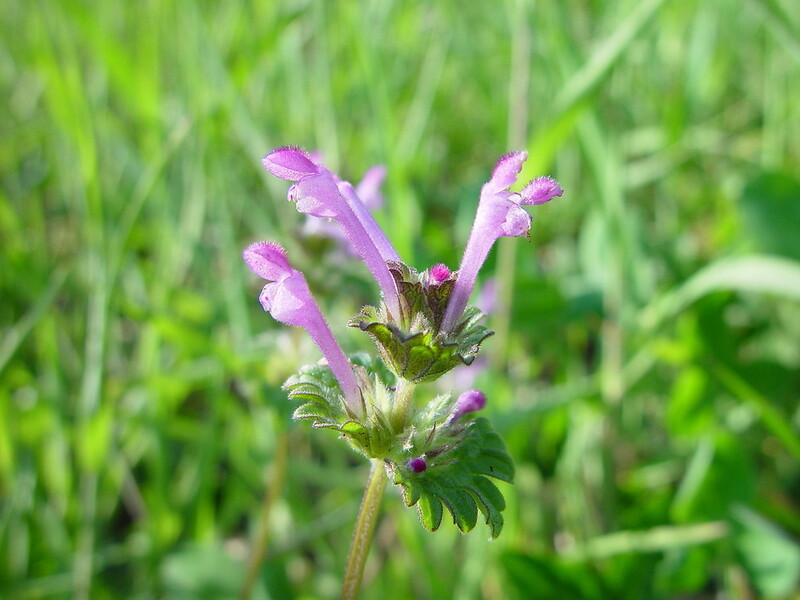 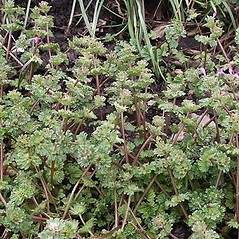 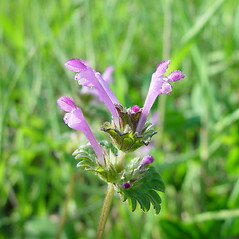 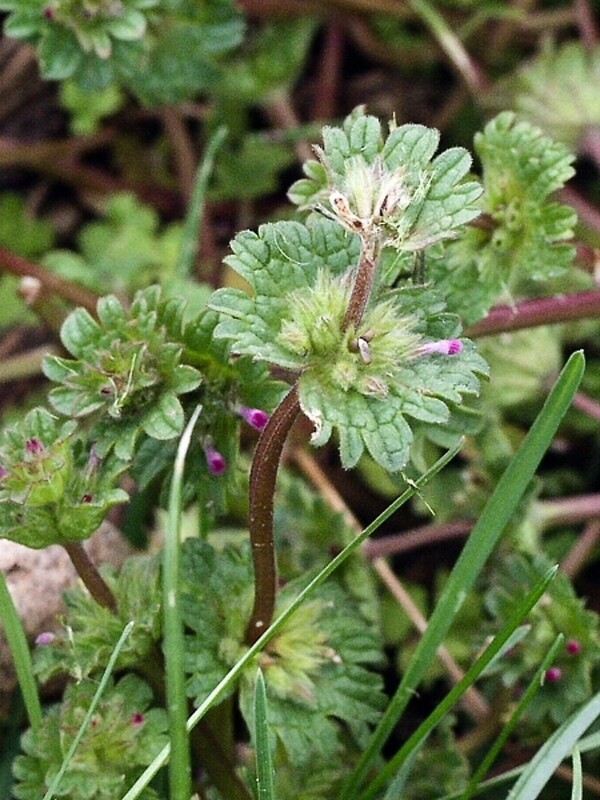 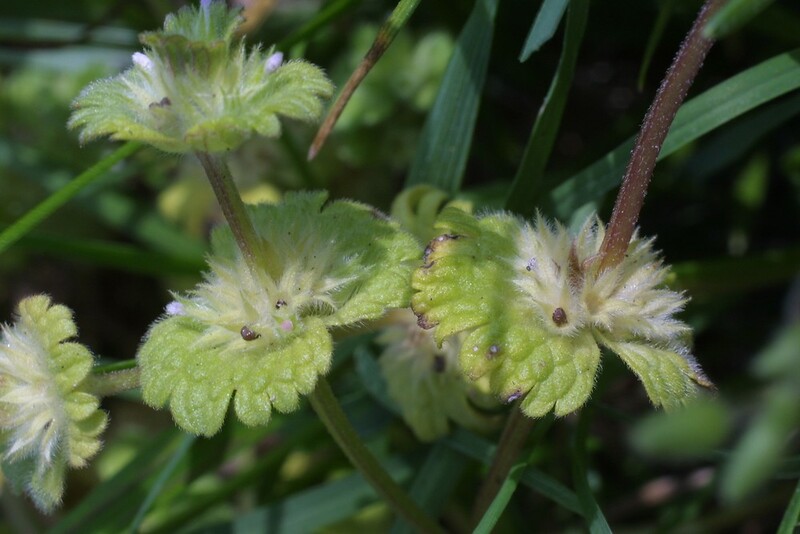 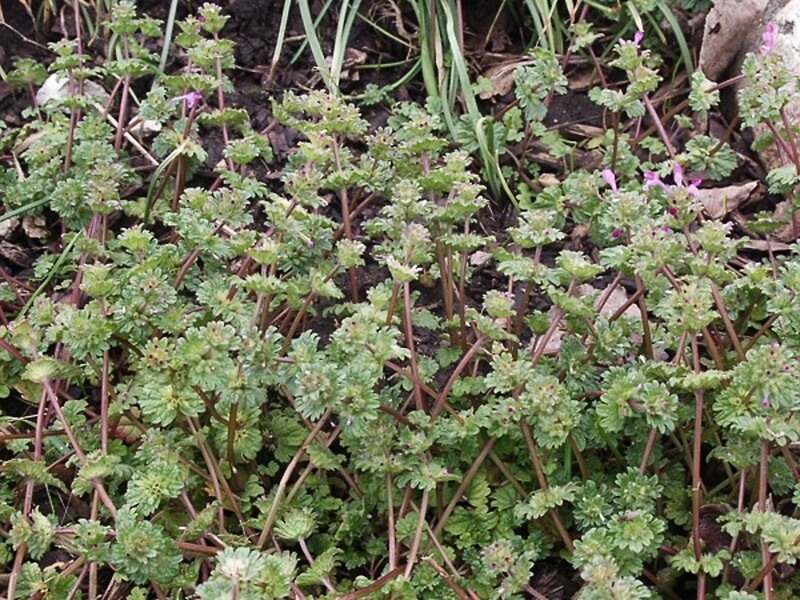 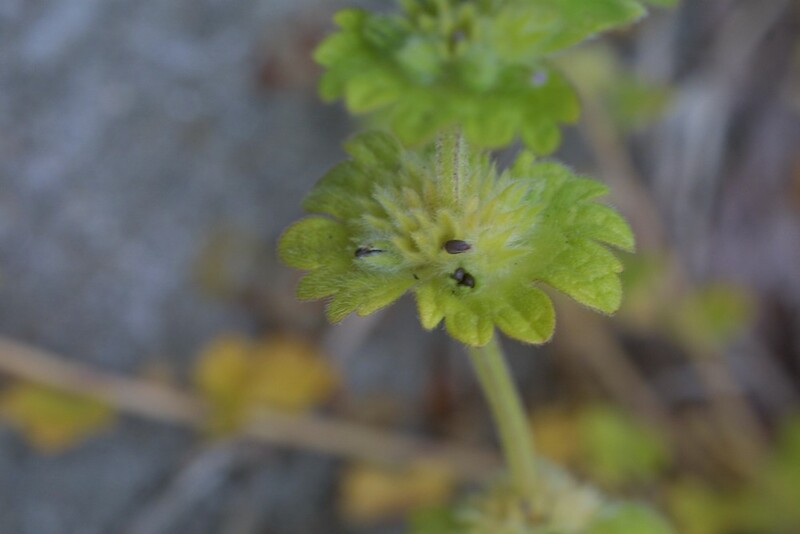 An invasive plant from Eurasia, common henbit prefers disturbed areas where it can spread aggressively. 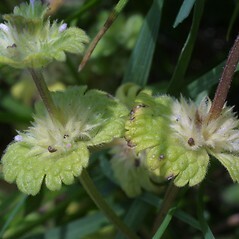 upper leaves and bracts on short stalks and sepals spreading outward from basal tube of petals (vs. L. amplexicaule, with upper leaves and bracts unstalked and clasping the stem and sepals pointed forward and not spreading away from petals). 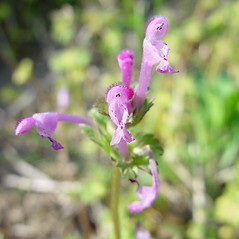 Our variety is Lamium amplexicaule L. var. 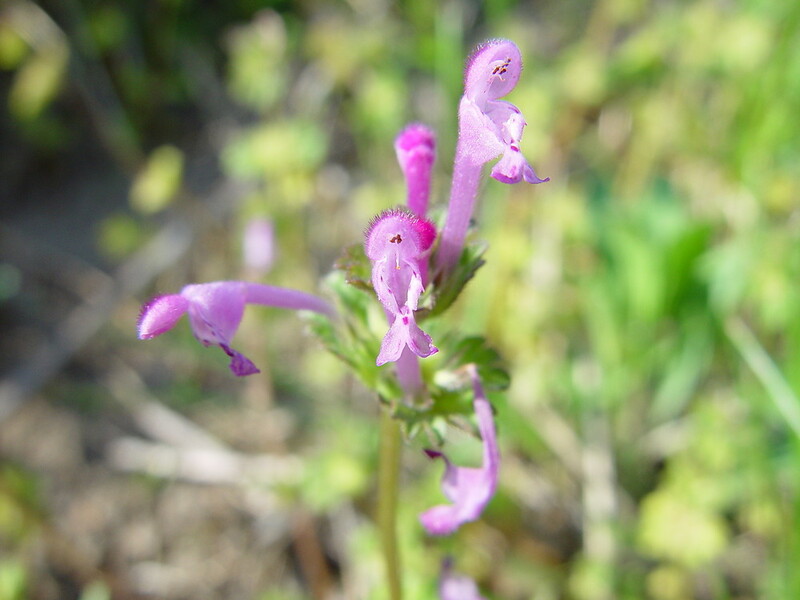 amplexicaule. 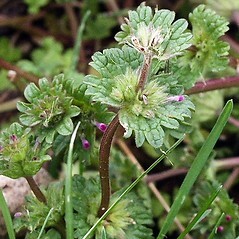 common henbit. 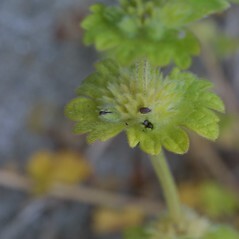 CT, MA, ME, NH, RI, VT. Fields, lawns, gardens, about dwellings.